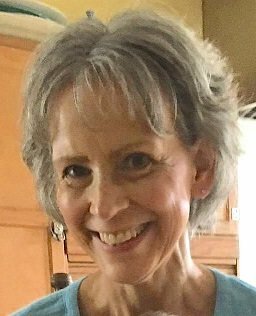 Deborah Ann Francescutti, age 62 of Tonawanda NY, passed away on Wednesday, November 14, 2018. She was born to the late Frank and Esther Stout on November 23, 1955. Debbie was a truly kind and caring person who always put others before herself. The first thing that you would notice about her was her warm and welcoming smile. Family and friends were Debbie’s love and joy. This time of the year was her favorite, as she cherished spending the holidays with her family. Debbie also loved collecting antiques and decorating her home. If you visited with her, she would probably be knitting a cute sweater for her granddaughter Rae, with her little dog Gino sitting right by her side. Over the last 12 years, Debbie has been battling multiple forms of cancer. Throughout this time, despite her hardships and uncertainties, she was always upbeat, optimistic and full of life. Her strength and resilience inspire all who knew her and is the enduring gift that they will always carry with them. Debbie is survived by her two sons, Nick Francescutti and Tony (Lindsay) Francescutti and her beautiful granddaughter Rae Juliet, who so affectionately referred to her as Nana, her sister, Laura (Keith) Schessl, her brother, William Stout, her as well as many other caring relatives. Debbie was predeceased by her sister Carolyn Murray. Friends may call at Prudden and Kandt Funeral Home, 242 Genesee St. Lockport, Saturday, November 17th from 2 to 4 PM, with a short service to follow at 4 PM. Funeral services will be held with Chaplain Bob Fink officiating. Memorials would be greatly appreciated by the family to Hospice Buffalo, 225 Como Park Blvd, Cheektowaga, NY 14227.